The feud between former BFFs Tamra Judge and Vicki Gunvalson rages on following the most recent episode of the Real Housewives of Orange County. On last night’s episode of the series, Vicki celebrated her 55th birthday by throwing a dinner party during which her guest Ricky Santana, who just happens to be a former friend of Tamra and Eddie Judge, revealed he was saw Eddie kissing another man, seeming to confirm the gay rumors about Eddie. 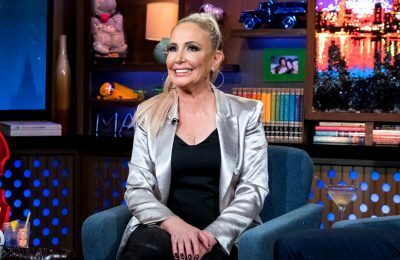 Tamra was livid following the airing of the episode and called on Bravo to fire Vicki! Well Vicki is now speaking out in her latest Bravo blog and is denying she set up the situation at her birthday dinner as some attempt to expose Tamra or Eddie. She also goes on to explain why she decided to reach out to Tamra on last night’s episode. 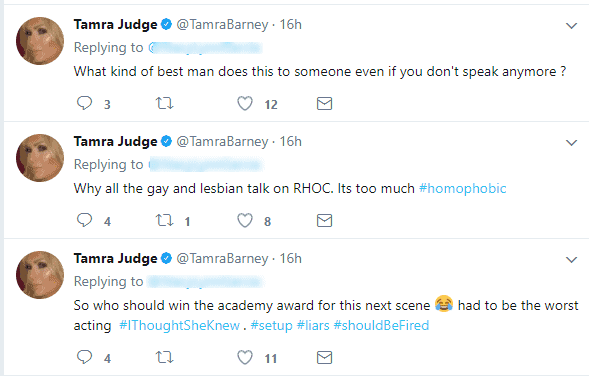 Meanwhile Tamra continues to lash out and is now calling her fellow RHOC costars Vicki and Kelly Dodd “homophobic” for continuing to imply Eddie is gay, something Tamra continues to deny. 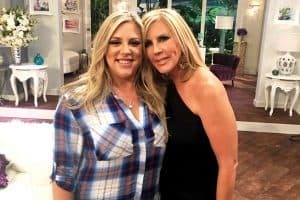 “Why all the gay and lesbian talk on RHOC. Its too much #homophobic,” tweeted Tamra last night. Tamra also makes it very clear that she believes Vicki set the whole thing up and called her a “liar”. 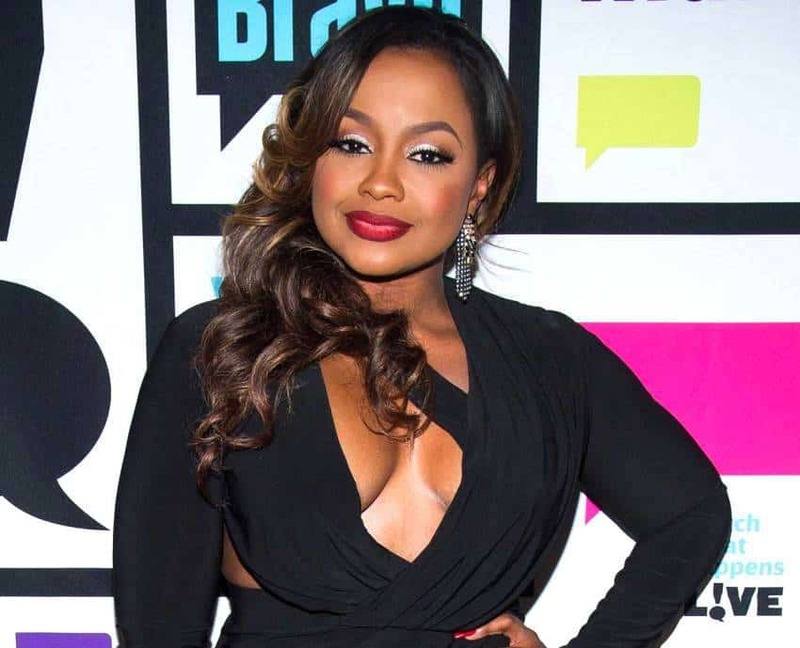 She once again repeated her call for Vicki to be fired by Bravo! Tamra tweeted, “So who should win the academy award for this next scene ? had to be the worst acting #IThoughtSheKnew . #setup #liars #shouldBeFired”. Screenshots are below. Must say with the way reality shows work, it’s very unlikely Ricky showing up to Vicki’s party and saying the things he said was all a mere coincidence! TELL US – DO YOU BELIEVE THIS WAS A SET UP BY VICKI? 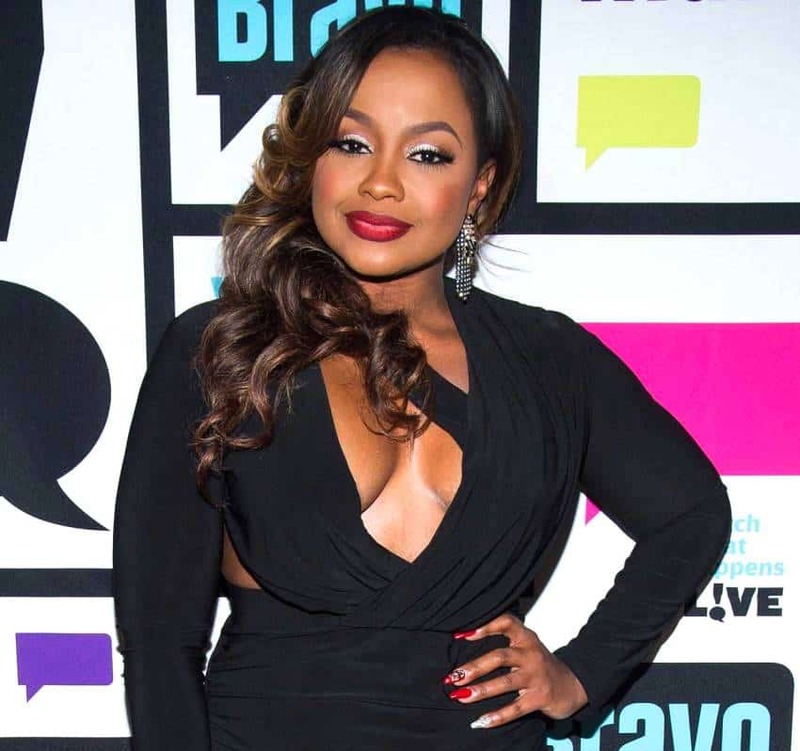 REPORT – Phaedra Parks Is “Desperate for Cash” and Begging RHOA Producers for Her Job Back! While Tamra Judge and Vicki Gunvalson appeared to be trying to mend their friendship on the latest episode of the Real Housewives of Orange County, things are taking a turn for the much worse in real time. RHOBH’s Yolanda Hadid Reveals How Ex-Husband David Foster Dumped Her Over the Phone! Yolanda Hadid is baring all in her upcoming memoir as she opens up about being dumped by ex-husband David Foster. 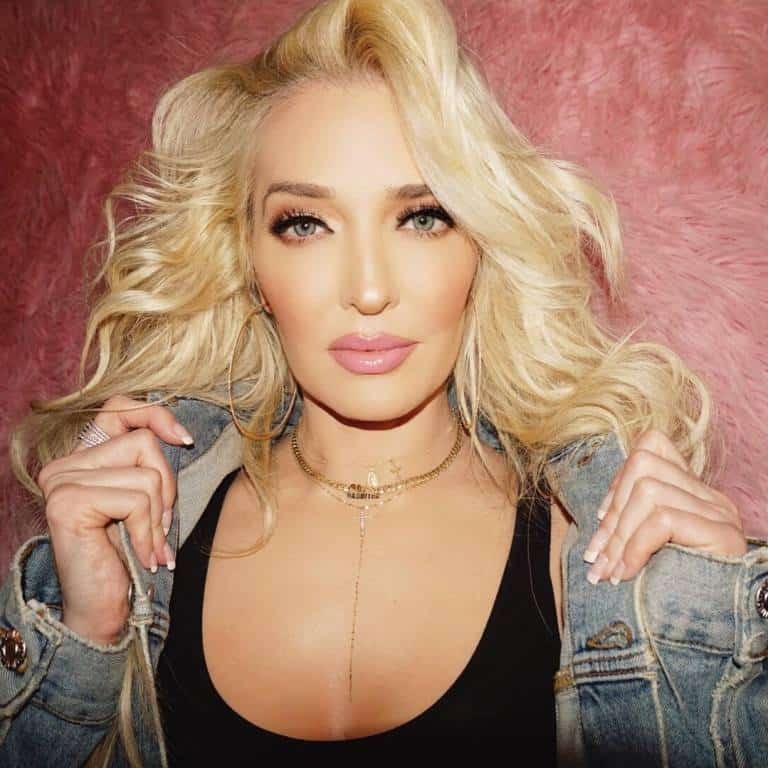 Real Housewives of Beverly Hills star Dorit Kemsley made a splash last season as a newbie on the Bravo series thanks to some drama involving her husband Paul Kemsley aka PK and her costar Erika Girardi. 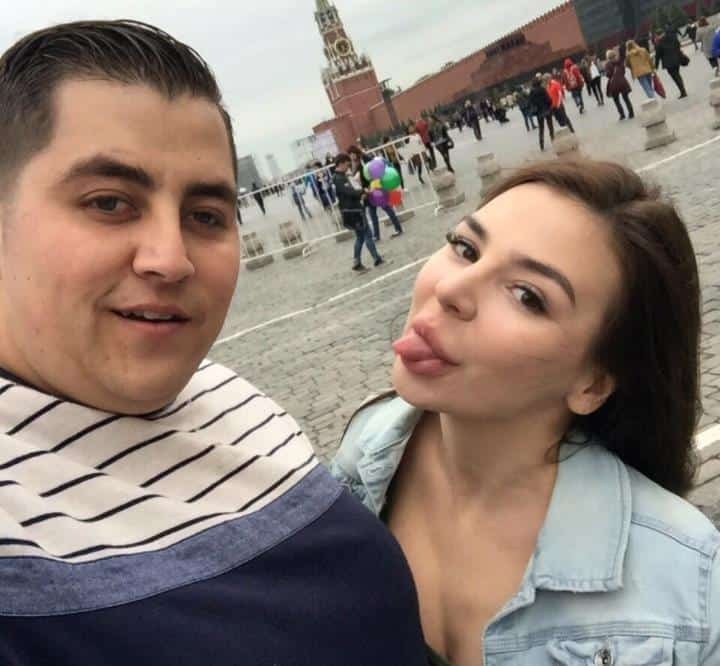 90 Day Fiance: What Does Anfisa Do for a Living? Find Out Now! 90 Day Fiance Happily Ever After star Jorge Nava set tongues wagging yesterday when he put his wife Anfisa Nava on blast on the final part of the 3-part reunion of the show! Jorge who is currently separated from Anfisa seemed very angry with her and appeared to be wanting to expose her. He kept telling host Shaun Robinson that she should ask Anfisa what she does for a living, referring to it as “degrading”. And despite multiple attempts by the host to get Jorge to reveal Anfisa’s new job, he wouldn’t.